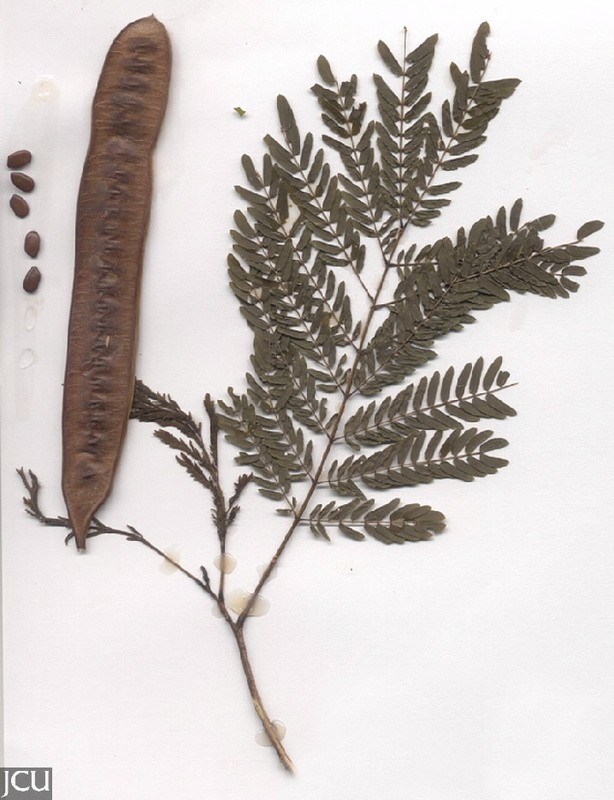 Leaves bipinnate. Flowers in globular heads, 1-1.5 cm diameter, pale-coloured. 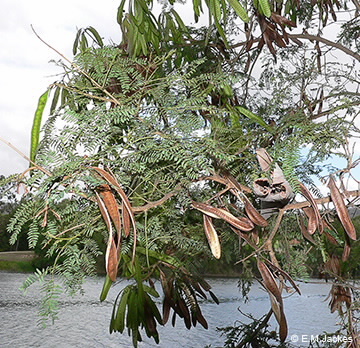 Pods flat to 12 cm long, dark brown when ripe.